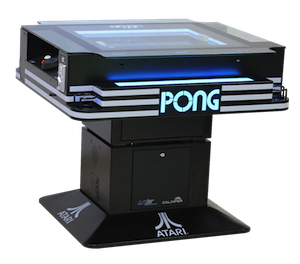 After UNIS previewed the game at last year’s IAAPA show, the iconic Atari Pong table of yesteryear will be on display on booths 631 and 831 in its different formats. Using custom mechanical components, the Pong Cocktail Table features include a telescopic base to adjust the height and beverage holders, making the table very versatile. The cabinet is coin mech, bill validator or card reader ready. Designed for arcades and FECs, the Pong Arcade Table is equipped with ticket dispenser, coin mech and card swipe function. 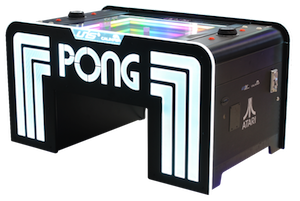 It features classic Pong gameplay and attractive LED lighting, and is designed to sit alongside regular redemption attractions.